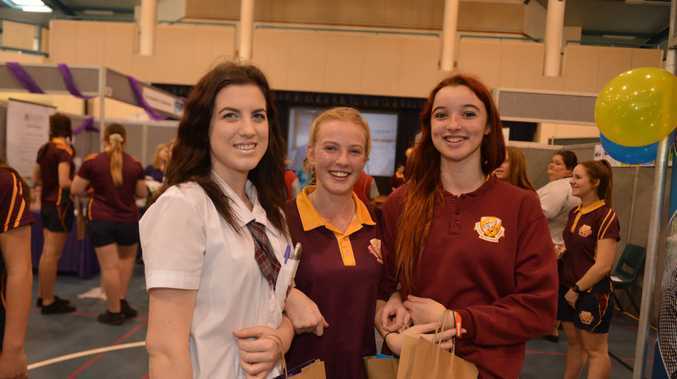 GYMPIE'S budding young job seekers sampled a range of possible careers paths at the Gympie Regional Careers Expo this week. Dozens of occupations were on display with many of the expo's patrons sampling a spot of on-the-job training. The friendly and informal character of the event provided a welcome and unique environment for employers, career advisors, education and training providers to communicate directly with jobseekers and students. Jobmatch Employment general manager Garry Davison said the event is always a worthwhile exercise. "It's the perfect opportunity for our youth to shape and invest in their future and find out what career opportunities are out there and what they need to do to secure them," Mr Davison said.